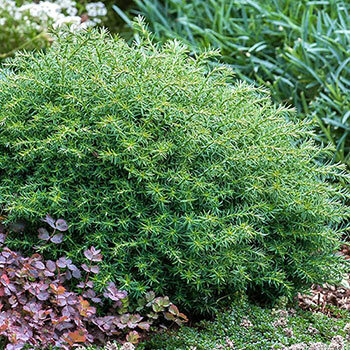 Forming into a little puff of dense needle-like foliage, this small beauty looks like a fluffy cloud. 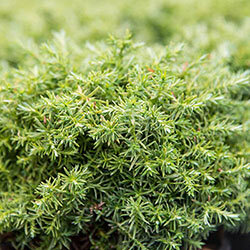 It's great for adding that sophisticated cypress style to a small garden or putting a little punctuation on a rock garden. Forms a nice mound in a container. It remains small and manageable without you having to prune. Grows slowly and remains a long-term feature. Evergreen, so you can depend on its interest in all four seasons.